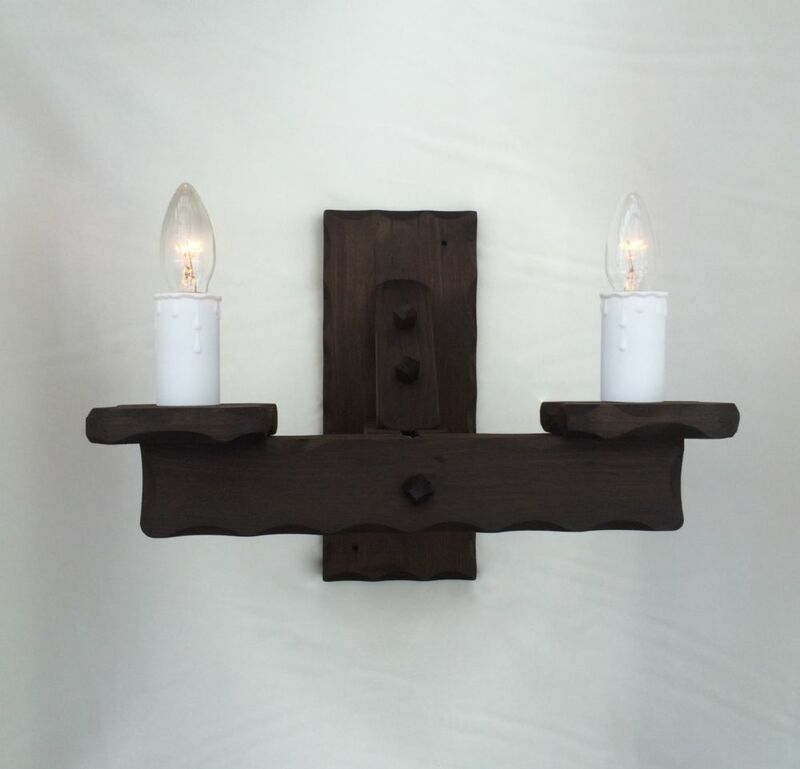 This hand-crafted rustic wooden TW/2-XL wall light is larger than our standard wall lights and is ideal for those larger spaces or rooms. Comes complete with candle drips. Requires: 2 x 60watt (max) bulb.